Join us for our annual Paddlesports Presentation Evening, where we will be showcasing some of the trips and activities involving sea kayaking, touring trips, open canoeing and white water adventures. 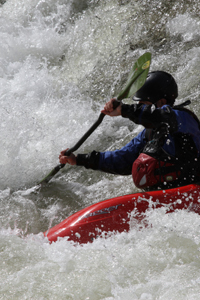 This is a great introduction to paddling if you are interested in learning canoe or kayak. If you're more experienced it's a brilliant way to find out what activities you could join in on in the upcoming year. Starts at 7pm in the function room at the Boardroom, Bristol. (Upstairs).